The 1st Augmented Training International Congress is officially over, and it was an amazing adventure! The event gathered more than 120 attendees and top-level speakers from more than 20 different countries and made it possible to bring together a great community of professionals, institutions and companies using Augmented Reality to enhance skills and vocational training. The first topic discussed in the Congress was Skills Training, it started with a presentation by Worlddidac’s General Director, Daniel Gauch, that was followed by Markus Leich and Christa Wolz, instructors of the first European school 4.0. 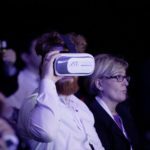 The topic concluded with the Augmented Training Services CEO, Basilio Marquínez, who brought the attendants to the Augmented Lab settled in Huelva, thanks to the conjunction of a 360º video and VR glasses. 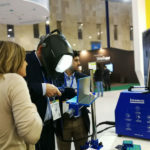 After a short break, the Congress moved on to Welding Training, a topic that counted on different approaches from countries like Germany, Spain and the United States, thanks to WeldPlus,GSI-DVS, Miller and CESOL. It served to see how Augmented Reality and new methodologies are already changing and improving welding training and to look at its future. 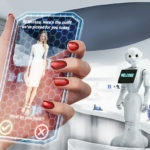 The last main topic discussed was AR in Industry 4.0, it started with a great company that has already implemented AR in their training centres in Germany, Daimler Mercedes. 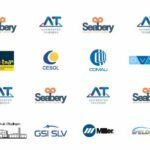 The event moved on to the future of Industry 4.0 thanks to the presentation by Pedro Marquínez, Seabery CTO, who unveiled Seabery’s new developments and applications. The last presentation of the day starred Ori Inbar, AWE founder, who stated the development of the AR Cloud. 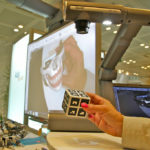 After all these presentations, our exhibition allowed attendees to test and experience a first-hand look at all the technology and new developments showed at the presentations. We hope all of you obtained valuable knowledge, new connections, and exposure to the latest cutting-edge tech in the AR, welding, industry 4.0 and education sectors. 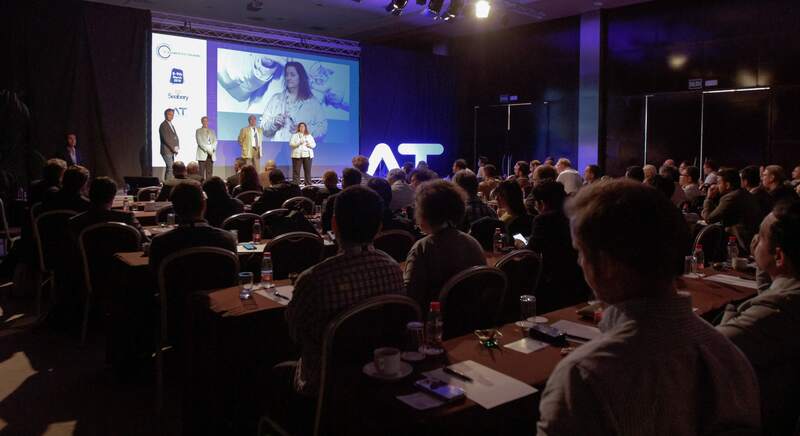 If you missed the 1st Augmented Training International Congress or you want to relieve the keynotes presentations, you can watch them all and the best pictures here. If you cannot wait, just take a look at the Congress highlights in the following video. We would like to thank all the attendees and speakers who made this possible.